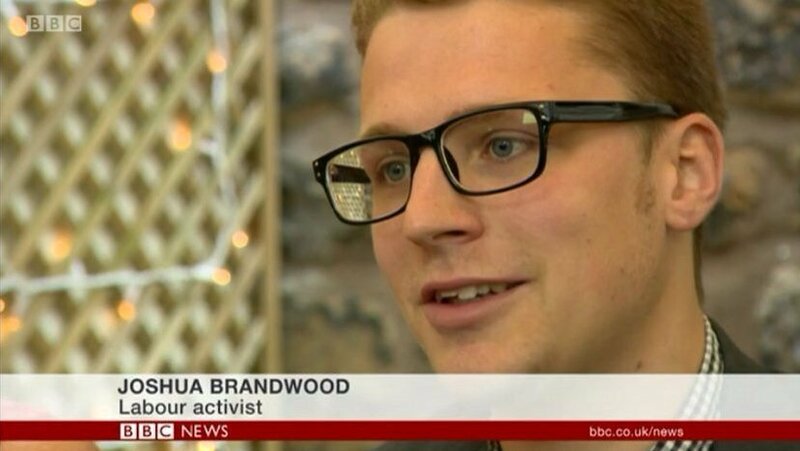 Cllr Brandwood: “the current MPs need replacing to reflect the views of the electorate” [Image: BBC]. A Labour town councillor wants to encourage fellow members to replace the party’s current array of MPs – by standing for Parliament himself. Joshua Brandwood, who represents the party on Morecambe Town Council, will put his name forward as a Parliamentary candidate for Morecambe at the next general election – in support of Jeremy Corbyn and his politics. The incumbent is Conservative David Morris, but Cllr Brandwood says it is important for Labour members to put themselves forward to replace the 172 of their own party’s MPs who supported a ‘no confidence’ motion in party leader Jeremy Corbyn on Monday. “I find it fundamentally unacceptable the majority of Labour MPs have passed a motion of no confidence in Jeremy Corbyn,” he told Vox Political. “The electorate decided that he was the right man for the job and therefore fellow MPs should respect the mandate. I personally feel that they voted against Corbyn for their own careerist aspirations. He said: “I think Labour needs new blood and someone with integrity to maintain unity within the party. I am therefore declaring that I will be putting my name forward as a parliamentary candidate for Morecambe. It has been suggested that the vote was held in private – and in haste – to prevent MPs constituency Labour parties from finding out which way they intended to vote. A chorus of disapproval arose from the CLPs after the vote took place because 95 per cent of them support Mr Corbyn. Mr Corbyn’s mandate has been the subject of considerable debate, with some claiming that MPs have a mandate from their own electorates that should override their responsibility to Mr Corbyn. Others have pointed out that Mr Corbyn has the support of more than a quarter of a million Labour members – far more than the electors who voted any of his MPs into Parliament – and that these MPs were elected to Parliament with the help of CLP members and as representatives of their CLPs, and therefore they are not at liberty to ignore the express wishes of their CLPs whenever it suits them. heck what do i know ? I think we can all agree that this clears up the matter completely and that nobody should, under any circumstances, vote for Angela Eagle in any leadership election. Yes, and something I had a good laugh at earlier on, when watching the local news, is that the Durham Miners Assocation have banned their local Labour MPs from appearing on stage at a Gala event, and one of the MPs(female), happens to rent an apartment/premises from that association, which I understand they are going to look into the contract on! Doesn’t seem to be going well for these MPs at the moment, does it?